This delicate gathering of flowers uses a gorgeous palette of pinks and white creating a soft, feminine look. 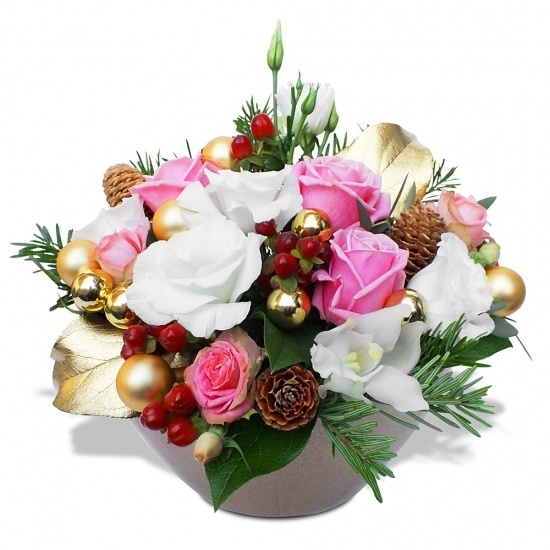 A truly exceptional bouquet for a special occasion that will leave them all feeling merry and bright! This arrangement is presented in a pot. The shape and color of the pot may vary according to the florist's stock.